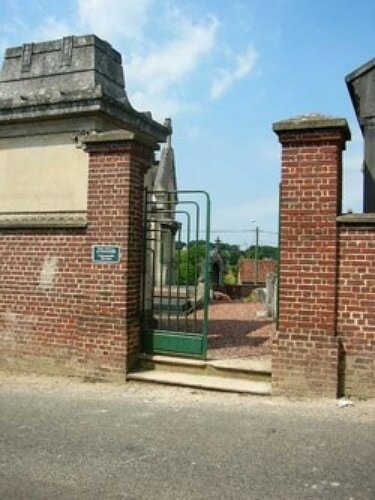 The Communal cemetery is in the area bounded by the roads from Abbeville to Auxi-le-Chateau, Doullens and Amiens, and the river Somme from Amiens to Abbeville. In the south-east corner of the cemetery, close to the entrance, is the grave of a soldier who died in 1917. M2/101927 Private V. L. Benzard, M.T. Royal Army Service Corps, attached 5th Infantry School. Died 30th April 1917.